We all hear about how getting a good night‘s sleep is so important for each of us. It not only affects our health, but also affects our emotions and how we handle tasks and challenges throughout the day. I must admit that I am not one who is very good at getting a good night‘s sleep. It all started when I was in high school. I was working a part-time job at Arby’s (yep and I still love that place!). I would get home late, but still have homework to do. My parents had lights out at a certain time, but I would stay up with either my flashlight or by the nightlight (yes, I know, not the best) working on my assignments. It didn’t get any better when I started going to college. Unlike in high school, I didn’t have a designated bedtime in college. Then came my adult life, when I woke up at weird times of the night with my babies. I don’t believe I really did get a good night‘s sleep until they started sleeping through the night. So what excuse do I have now? Well, I don’t really have an excuse, but I do still stay up until the wee hours of the night a lot of the time. I am either watching television or working on my computer and more often than not see midnight pass by. I seriously need some tips on how to “Tuck In. and Turn Off.” So when I was given the opportunity to serve as a Downy Ambassador for the “Tuck In. Turn Off.” campaign with Mom It Forward, I jumped at the opportunity! On Friday, March 7th, I’ll be heading down to the Grove in Los Angeles. In LA, Downy will be presenting The Sweet Dreams Collection, hosted by Dr. Ian Smith (celebrity physician and wellness expert) and Jeanette Kaplun (lifestyle expert). The event will take place at The Grove (near Nordstrom) and will go from 9:00 am to 6:00 pm. 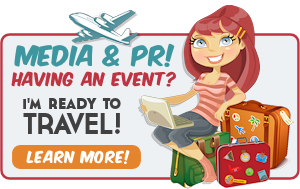 I am so excited to attend the event and learn simple tips that will help me to get the sleep I really need. The Sweet Dreams Collection is asking people to pledge to a better night‘s rest…every night! With Daylight Saving Time approaching, and an extra hour of sunlight ahead, many of us may have an even harder time falling asleep. Technology, such as televisions and computers, make it hard for us to relax so we can fall asleep. The Pledge will ask us to “turn off” our technology at least 30 minutes before bedtime and “tuck in” to bedtime fabrics infused with the soothing scent and softness of the Sweet Dreams Collection to help us relax in order to fall asleep. Even if you can’t attend the live event, you can take the pledge online. As part of this campaign, I also received the P&G Sweet Dreams Collection. I haven’t used all the products yet, but let me tell you, what I have used so far is awesome! Oh my gosh, the scents are literally heavenly. In my next post, I will be sharing with you my thoughts and experiences of the Sweet Dreams collection. 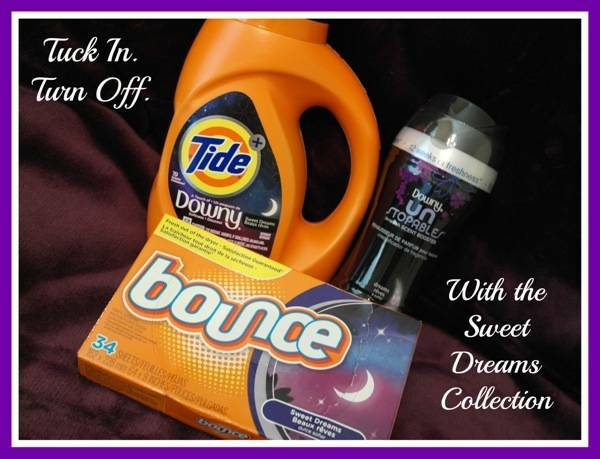 Be sure to follow Downy on Facebook and Twitter; Bounce on Facebook and Twitter; and Tide on Facebook and Twitter. Will you be attending the Downy “Tuck In. 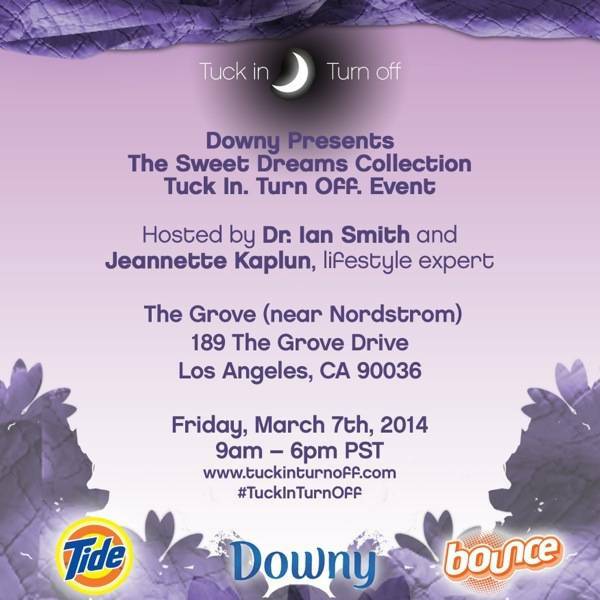 Turn Off.” Event in Los Angeles on March 7th? 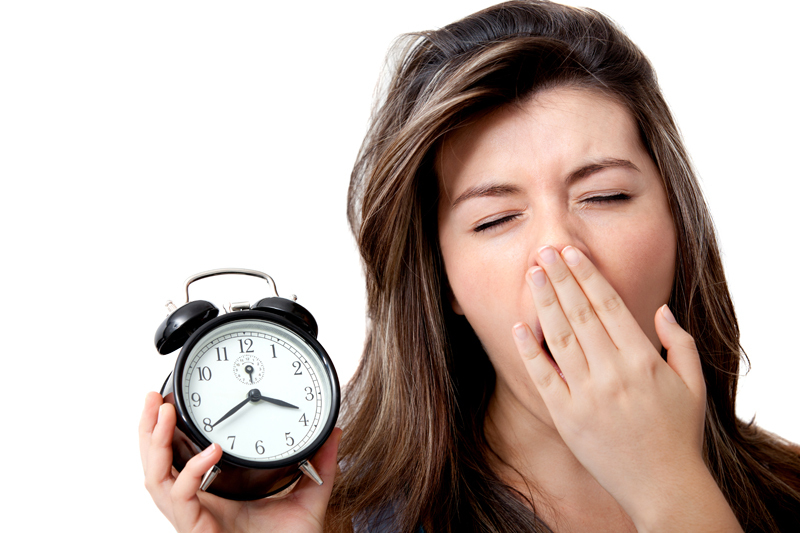 Do you need help getting more sleep? I am an Ambassador for Downy as part of a compensated Mom It Forward campaign. I am so guilty. I am always online until the wee hours! A poor night’s sleep can ruin your entire next day! Good ideas in this post! I definitely need more help getting sleep. But I think my big part is my mattress and allergy issues…and sick kids..yeah they always cause problems. lol. I am a terrible insomniac, so if this works, I am all about trying it! I’ve tried other scents in the unstoppables and LOVED them – i’d always intentionally sniff my bedding when I laid down because it smelled so good! Lol, so I love the idea of the scent being designed for sleeping! Sounds perfect for me. I KNOW I don’t get nearly enough sleep. 🙁 I can’t wait to smell them. Is that weird? I definitely need help getting more sleep. Wish I could attend this event. Sounds like so much fun. I haven’t tried the Sweet Dreams scents yet. YET. I LOVE Downy though so I need to find this stuff! My husband and I are constantly on technology for work and play, but we try to stick to the 30 minutes rule. Usually that means we get into bed with a book or to chat a bit before turning out the light. Lots of great ideas!! Beauty sleep is so important so I will be giving these a try. I definitely need more sleep. I am a sucker for Tide’s products. One of the things that I am sorta obsessed with is having super clean, super soft, super fresh bedding on my bed. This looks interesting, I would try this, but I have a daughter who is allergic to tide. This looks very interesting, more sleep is always a good thing. A good nights sleep would be such a blessing. Yes, I get plenty of sleep.